Ride with Norman Reedus Renewed for Season 3 – Season 2 Debuts in November! It’s like there’s more gas in the tank before they even get started – AMC has ordered a third season of Ride with Norman Reedus almost two months before the second season premieres. Season two’s co-riders will include Jeffrey Dean Morgan, Dave chappelle, Mario Batale and more. Ride with Norman Reedus will have a two-night premiere on Sunday, November 5th (11/10C) and Monday, November 6th 9/8C). The Walking Dead Winter Premiere Date Announced! It looks like Negan’s rule is going to face a serious challenge beginning when The Walking Dead returns from its holiday hiatus on Sunday, February 12, 2017. Sees All, Knows All Trailer: Solace! When a homicide detective is faced with a string of peculiar murders, he calls in a retired schoolteacher and psychic, who realizes that the killer is also psychic – and even more powerful than he is. Solace stars Jeffrey Dean Morgan, Anthony Hopkins, Colin Farrell and Abbie Cornish. It will be in theaters and On Demand on December 16th. The ever-so-slightly creepy trailer follows the break. Heist: Casino Heist Efficient But Dull! 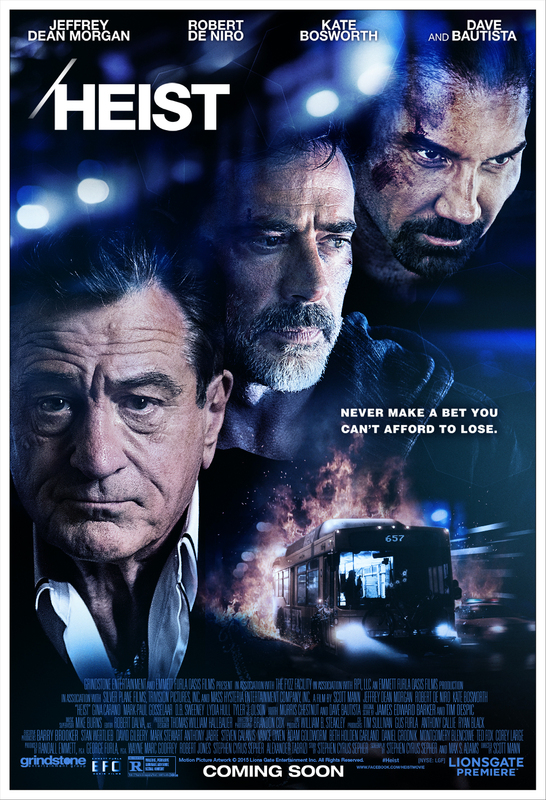 Heist has an incredible cast – Jeffrey Dean Morgan, Robert De Niro, Morris Chestnut, Kate Bosworth, Gina Carano, D.B. Sweeney, Dave Bautista – but between a predictable plot and some very disinterested performances, it just kinda lies there. When Vaughn is denied a $300,000 favor by gangster/casino owner Pope, he plans and executes a heist that – as is the usual case in these things – goes awry. The manner in which it goes awry forces him and his team to take a city bus and hold its passengers hostage – leaving him to try to figure out a way to outwit Pope and get away from the police. Heist stars Jeffrey Dean Morgan as Vaughn and Robert DeNiro as Pope. Co-starring are Dave Bautista, Gina Carano and Morris Chestnut. Heist will in select theaters and on demand on November 13th. Check out highly entertaining trailer following the jump. 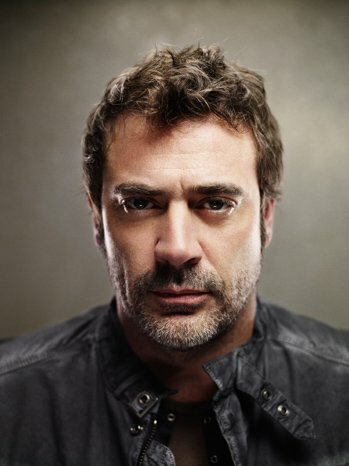 Jeffrey Dean Morgan Joins the Cast of The Good Wife! 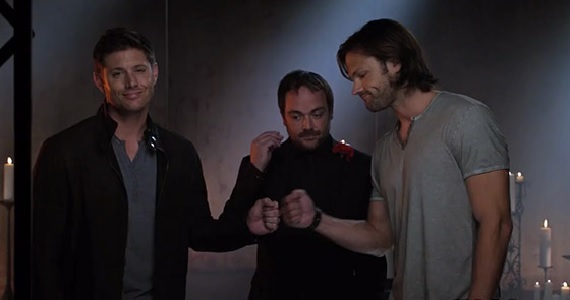 He’s played a dying man, a ghost, a demon-killing hunter, a cop and a right-of-right-wing superhero and now, Jeffrey Dean Morgan is going into private investigation as a regular on The Good Wife. Morgan has signed on a series regular for The Good Wife’s seventh season – in which he will play Alex, ‘a calm, experienced hourly investigator whom Alicia hires.’ For further details, follow the jump. Magic City: Bright City, Dark Doings! Ike Evans risks everything in a life and death battle to rid his Miramar Playa Hotel of the mob and Ben “The Butcher” Diamond. Even if Ike’s long-shot gamble to take back his hotel succeeds, will the price of victory be too high? 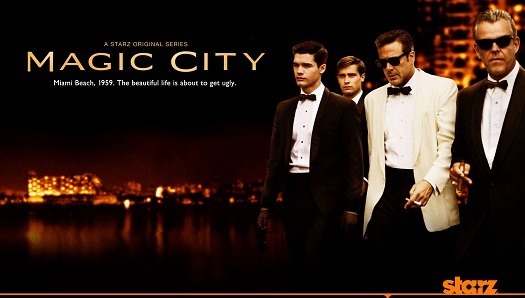 Magic City returns to Starz on Friday, June 14th at 9/8C. Two Cool Teases for Magic City: Season Two! Starz’s Magic City exudes an effortless cool. Above and following the jump: two mentholated teases for season two, premiering on July 14th.